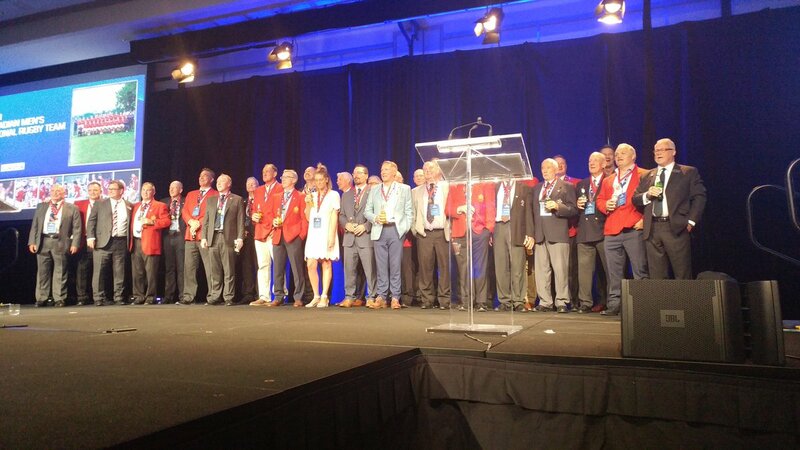 Last night, in a star-studded gala at Parq Vancouver, the BC Sports Hall of Fame inducted the Canadian Men’s 1991 Rugby World Cup Team as part of their Class of 2018. 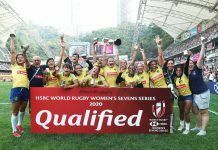 This was a fantastic piece of recognition for a side that was chock full of BC players (23 of 26 individuals) and produced Canada’s best ever result in a Rugby World Cup, reaching the Quarter Finals. The Class of ’91 are the stuff of legends in the rugby world, household names for rugby families not just in this country, but around the world, particularly the UK where a number of them consolidated their careers. Looking down the roster, names leap off the page as if someone has constructed a Dream Team of that era. 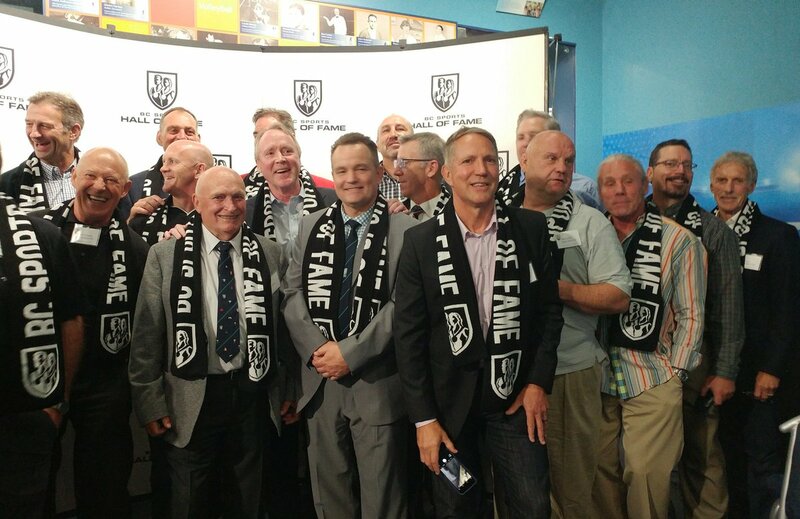 While some of these individuals have already received personal induction into the BC Sports Hall of Fame, it was a particularly proud moment to see this team being recognized for its achievement. 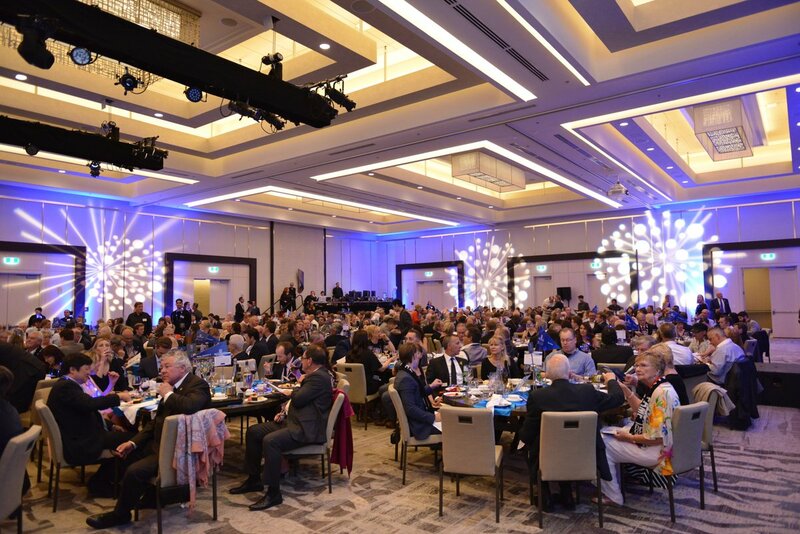 At the packed Induction Gala last night, almost a third of the 90 tables in the venue were taken up by members of the Canadian rugby community, gathered to celebrate this wonderful occasion. The significance of what the Canadian Men’s team achieved at the 1991 Rugby World Cup was reiterated to all in attendance. 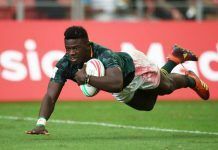 A “minnow country” in world rugby at that time, defying the odds to qualify for the Quarter Finals for the first time, outscoring reigning champions New Zealand All Blacks in the second half of that match and securing a record high world ranking of 8th. Canadian rugby royalty seems a suitable moniker given the success that this team achieved and the lasting impact they have had on the sport, not just in Canada, but worldwide. There is an interesting coincidence given the timing of this induction. Seven of the 1991 squad were teammates from UBCOB Ravens RFC, based in Jericho. A club with a rich rugby history itself, they won back-to-back Rounsefell Cup titles in 1990 and 1991, months before the Rugby World Cup in France. As it happens, these would be the last titles that Ravens would secure for over 25 years. That is until this year when they defeated rivals UBC Thunderbirds 16-10 at the BC Rugby Club Finals and finally laid their hands back on the historic trophy. What is especially noteworthy of this list of players, is how many of them have spent significant chunks of their lives giving back to the sport that we all know and love. Gareth Rees, one of Canada’s most well-known players and the country’s first inductee in the World Rugby Hall of Fame, has been involved in various guises with Rugby Canada. David Speirs dedicate himself to fostering young rugby talent via the BCSSRU, Paul Szabo works tirelessly at Burnaby Lake RFC, while Mark Wyatt coached at Shawnigan Lake and currently serves as president for Westshore Velox RFC. Gary Dukelow was on hand in Dublin this summer as Assistant Coach to the Canadian Women’s XV during the Women’s Rugby World Cup and Patrick Palmer coached the Canadian Men’s Sevens prior to his current role at St George’s School. There’s Eddie Evans, a huge supporter of developing rugby across the province and internationally, past President of BC Rugby John Lecky and Tom Woods, who is heavily involved in developing the youth program at James Bay AA. Rod Holloway, Forwards coach for the team is still very much involved in the game, notable now as the Chair of BC Rugby’s Appeals Committee. A sad note rings when the eyes reach the name Norm Hadley. The mountainous forward, cherished by so many, whose passing last year came as a blow to the rugby community across the globe. His absence, still felt by so many, was hard to overlook at the Induction Gala. 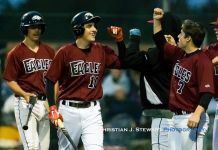 But these snippets of information will never do these men, or their equally talented and dedicated teammates, justice. Stories of their rugby careers through multiple world cups and their subsequent commitment to the domestic game could fill hundreds of articles, as evidenced by any cursory google search. Last night’s Induction Gala, therefore, is a truly fitting celebration of these men and their achievements. 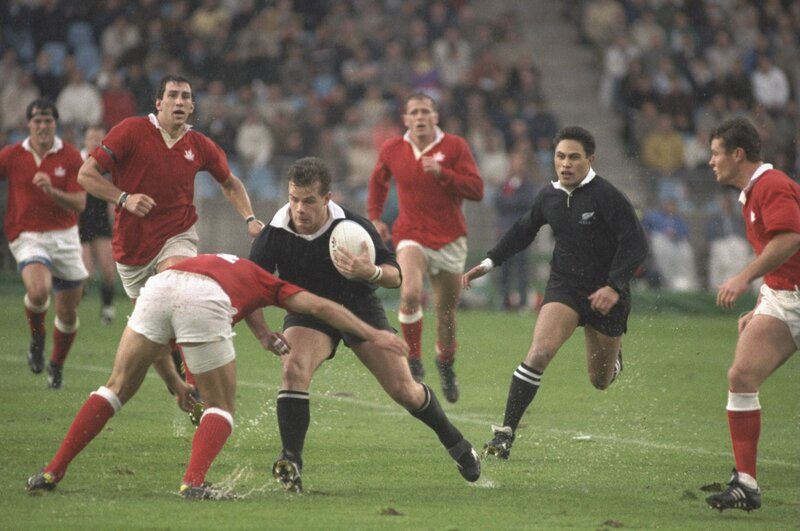 Ian Birtwell, who was the Head Coach of the 1991 Canadian team, was inducted into the BC Rugby Hall of Fame and the Rugby Canada Hall of Fame this year. A veritable hat-trick of sporting recognition. To close, here is the national anthem form the 1991 Rugby World Cup Quarter Final between Canada and New Zealand (highlights are also on YouTube).